It seems that Sega of Japan are (possibly unfortunately, depending on your view on this sort of thing) electing to give different bonuses depending on where you place your pre-order and there even seems to be two different tiers of the ‘DX Pack’ on offer. The rewards mentioned are as follows. Amazon.co.jp: A mini album consisting of four songs used in promotional material for the game, including Green Light Ride. AmiAmi: A set of acrylic key holders featuring Team Sonic and Team Dark. Aeon malls (seemingly any game shop): An A5 booklet about the game. Joshin webshop: A fairly neat smartphone wallpaper. Sega Store: The big one, this is the ‘DX Pack’ featuring a postcard book, two very eye-catching rock glasses, a motel key holder, a flat pouch and a 3D crystal. 29-year old male staffer from South England. Likes old manga and anime, video games, live music and driving cars fast. 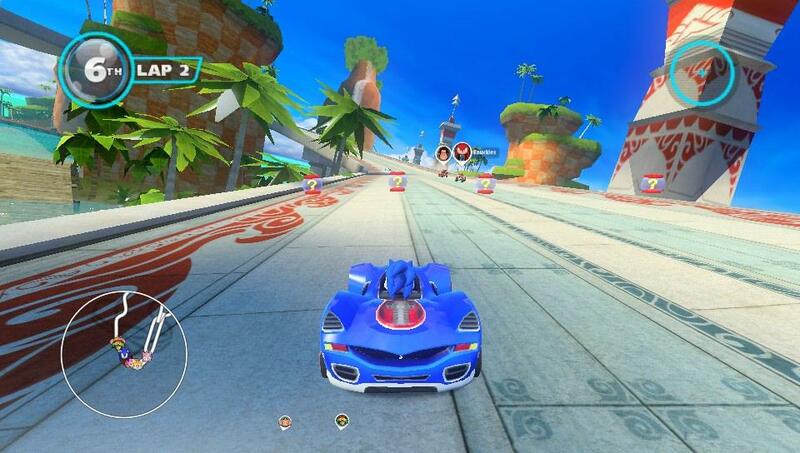 Sega All-Stars Racing gets Christmas trailer. You can buy it after Christmas!